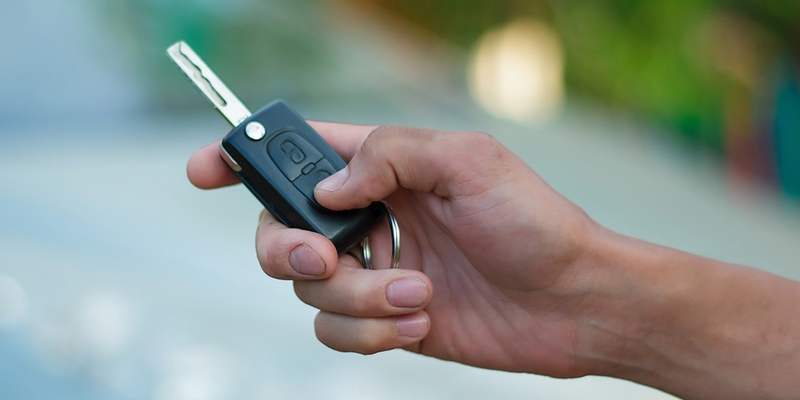 A key fob is a wireless remote that interacts with the electronics in your car. A fob can have many functions. It can open the doors, start the car, and in some cases, it will open doors and start the car without being physically touched by the user. Sometimes the fob will be attached to a mechanical key, but it may also be a separate device. Fobs are most often made out of a hard plastic and will have pressable buttons. If you ever lose yours or need spare, United Locksmith offers professional key fob replacement. Can a locksmith get me a key fob replacement? Yes. 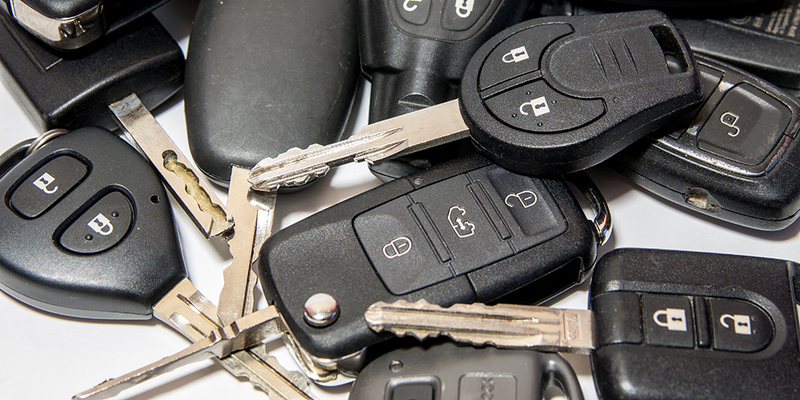 An auto locksmith can handle every step of replacing a key fob. They can get you a new one, program it, and perform any other fob related task. If you need a key fob replacement, it is in your best interest to choose to get your service from a locksmith. They have all of the knowledge of a dealership, with the added insight of a security expert. They will make sure that you are not just happy, but that you are also safer as a result of their help. Can a locksmith program key fob? Yes. Professional locksmiths have an experience with every type of key, even electronic ones. They can reprogram them, remove existing keys from the car’s computer, etc. When there is something you need from your security, it is always best to trust the professionals that deal with all kinds of security. As an added bonus, our mobile locksmiths can come to your location, wherever you may be. We also offer emergency services that allow our technicians to assist you 24-hours a day. How hard is it to replace a key fob? The difficulty of key fob programming will depend on the model and the manufacturer of your vehicle. The actual fob itself will be relatively easy to procure. If you would like a general, and unbranded key fob that will be the easiest to get, but United Locksmith is also able to replace the proper factory made keys. Needless to say, once you go with United Locksmith, it is easy to get a key fob replacement. You could say that key fob replacement is as easy as dialing up our number. Can I program key fob myself? In some cases, it will be possible to program a key fob on your own. Each car is going to have a very distinct programming method. You will need to have a blank remote, and the proper instructions for programming it. If the remote is not blank and has been previously programmed to another car, then this will not work. In some cases, the fob programming will require certain tools that are not available to the public, and that will also cause issues with self-programing. In order to get around all of these inconvenient eventualities, find a trusted locksmith to handle your key fob replacement. Certain DIY methods require a spare car key these situations will be more along the lines of car key duplication. What is the best option for key fob replacement? There are three options for getting a key fob replacement, but going to a locksmith is always going to be the best choice. The most obvious decision though not the best, is that you could go to the dealership. They will sell you the key fob replacement and program it for you. The catch is that they will charge you an arm and a leg. You could also choose to do the programming yourself. That would require looking online for the key fob replacement, and then finding out the way to program it yourself, if that is, in fact, possible, which is not the case for all cars. This will be the least expensive option, but it may not solve all of your problems. A locksmith will give you competitive pricing on all services, and deliver professional assistance. You are guaranteed a fair price and quality care. How long does it take to program key fob? Programming a key fob will take different amounts of time, which are based on the specific programming method required. With methods that do not require our technicians to access the onboard diagnostics port, service times will be shorter. Between all of the ways that it may take to program a key fob replacement the process can take anywhere from 10 to 20 minutes. If you desire or require further types of services, like deprogramming or key cutting, this may take longer. But no matter how long it takes our locksmith to service the vehicle, it will be done as fast as possible. While moving at an elevated pace, there will be no quality that is sacrificed. Our workers are reliable and professional. Their experience allows them to work quickly without any drop in excellence. Can my fob be programmed without my car present? No. The car must be present in order to program a key fob replacement. Both the vehicle and the new key fob replacement will need to be in the same vicinity for the programming to work. It is no issue for our technicians to come to the automobile’s location if the car is difficult to transport. United Locksmith offers mobile locksmith services, which allow us to deliver our high-quality work to anyone, anywhere. With our emergency service and 24-hour schedule, we can also help you anytime you need it. Any quality locksmith will handle key fob replacement in stages. The process starts with getting the replacement parts. This will be the remote, either generic or factory made, and the necessary keys. The actual key fob replacement can be gathered either by the customer or by the locksmith. It is ultimately up to the customer to decide which they would prefer. Buying the key fob replacement yourself offers several upsides. You will be able to get the best price, and not have to pay for the cost of a middleman. You will also have the opportunity to try and program the remote yourself. The downside is that if it is the wrong remote, or a faulty remote, you may lose money without getting anything. The remote may also be pre-programmed, which will mean it does not have the ability to work with your car. When a locksmith purchases these parts on your behalf, they know that the fob will work and program properly. The locksmith may also have an extra key fob replacement on hand, and this will save you time. Next, the instructions are needed for the programming. This could be knowledge that the locksmith already has, but they will still consult their sources. Even if the locksmith has not programmed that particular type of car before, they have enough professional experience to complete the task fast and well. For help with this you can check out the options for car keys made near you, but a locksmith will almost always be the best choice. This type of information may be available to the public in select cases, but a locksmith will have access to this type of documentation for sure. The locksmith documentation will also be the official process as published by the car manufacturer. Once the key fob replacement has arrived, and the method for programming is known, then the parts will be taken to the vehicle and the programming will start. Be careful if you are buying replacements yourself because there are many dangers for buying aftermarket car keys. To program a key fob you will need the key fob replacement, the car, and the knowledge about the car’s specific programming process. (The way to get those resources is detailed above.) Now that all of those things are out of the way, the key fob replacement can actually be programmed. The process will call for limited, to no, dismantling of the car’s interior. At the most, reprogramming will require the onboard diagnostic port to be opened. This may call for the removal of some plastic paneling. Those panels can be reinstalled after the programming is done. If they are taken apart, and refitted by a professional locksmith, there is a guarantee that no harm will come to the vehicle. Our tools can then be used to manipulate the car’s computer. While in this stage existing keys can be invalidated, and new keys can be programmed. The only downside to this type of programming is that the tools have built-in wait times to assure that they are not used for criminal acts. When it is not required to use the diagnostic port, you may need to use two sets of keys or something like that. In many cases, all that will be required is one mechanical key and the key fob replacement. It cannot be said for sure if this will be the case for your vehicle, but there is a good chance. When the car requires existing fobs to make new ones, the diagnostic port will need to be used. If you wish to have the access of lost fobs revoked, you will not be able to do this without the use of the port either. Any specific questions about your particular vehicle program key fob process can be directed to your service technician. If you are trying to get a remote or keyless starter function to work on two different cars simultaneously, this will not work. Even if a particular fob can be made blank again, it will only work with one car’s onboard computer at a time. A good rule to abide by is to keep everything in original working condition. Breaking open a device or trying to rewire the car physically may invalidate your warranty or lease. Be smart, and figure out if what you are doing is right. For methods that require more than one key to be used, you will need to get a second key. There are no workarounds for specific requests like multiple keys. Picking these locks will not work for the most part because they need to be turned in rapid succession. (Each turn would require the lock to be re-picked.) There will be a way to cancel the process of reprograming if there is a glitch or mistake made. You will need to reset and start over if a mistake is made. And perhaps the most important general rule is that a professional will always be able to perform the task faster, and with a guaranteed positive result. They will also be able to complete additional jobs that may need to be done. United Locksmith can make you the appropriate number of keys and complete every step in the process, and they can take care of the full process as well.